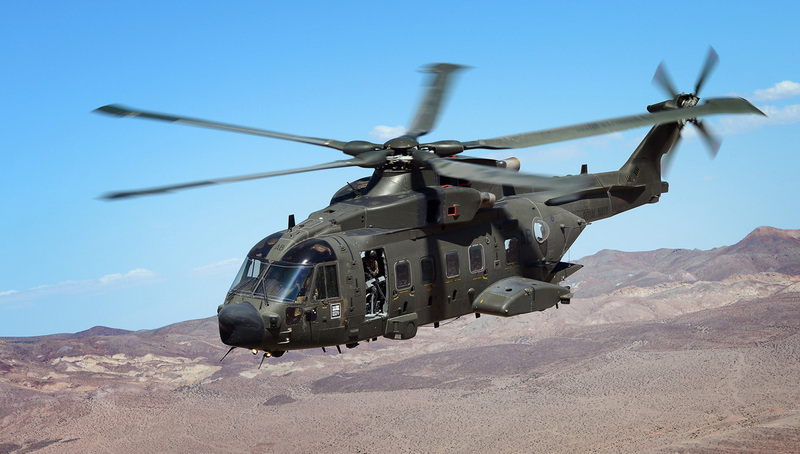 Six of RNAS Yeovilton’s newly-arrived ‘Junglie’ Merlin troop transport helicopters will take centre stage during the Commando Assault – Air Day’s scintillating flying display finale. These very impressive helicopters will also be firing flares for the first time at Air Day which will be a truly spectacular sight. Joining them in the Assault will be a variety of equipment, aircraft and ground troops to demonstrate how the Fleet Air Arm combines with other assets to continually protect our nation’s interests. Equipping two Commando Helicopter Force squadrons – 845 and 846 Naval Air Squadrons – the Merlin iHC3 has replaced the Sea King HC4, which was retired in March. Larger, faster and more capable than its predecessor, the Merlin is becoming the new face of Royal Marines commando operations worldwide. Also involved in the Assault are a pair of Wildcat AH1s from the Army Air Corps, plus one of 736 Naval Air Squadron’s ‘Aggressor’ Hawks and personnel from locally-based 40 Commando Royal Marines. These air and ground forces will work together to accomplish the mission at hand. Accompanied by smoke, explosions and gunfire, they will ensure Air Day again has the most thrilling of endings. Discounted advance tickets can be purchased at www.royalnavy.mod.uk/yeovilton-airday until 27 June.